Sigma Iota — Phi Iota Alpha Fraternity, Inc.
SIGMA IOTA was established in 1904 at Louisiana State University as a secret society for Spanish-American Students, under the name Sociedad Hispano-Americana. In 1911 it was changed to a Greek-letter fraternity. Its membership was composed of Spanish-American youths studying in all the universities of America and Europe. It was organized to promote friendship and give help to the Spanish-American students attending foreign universities. There were also chapters in Belgium, Switzerland, and Guatemala City. Conventions were held in Baton Rouge in 1928 and in New Orleans 1929. In 1931 Sigma Iota joined Phi Lambda Alpha Fraternity, which later changed its name to Phi Iota Alpha. 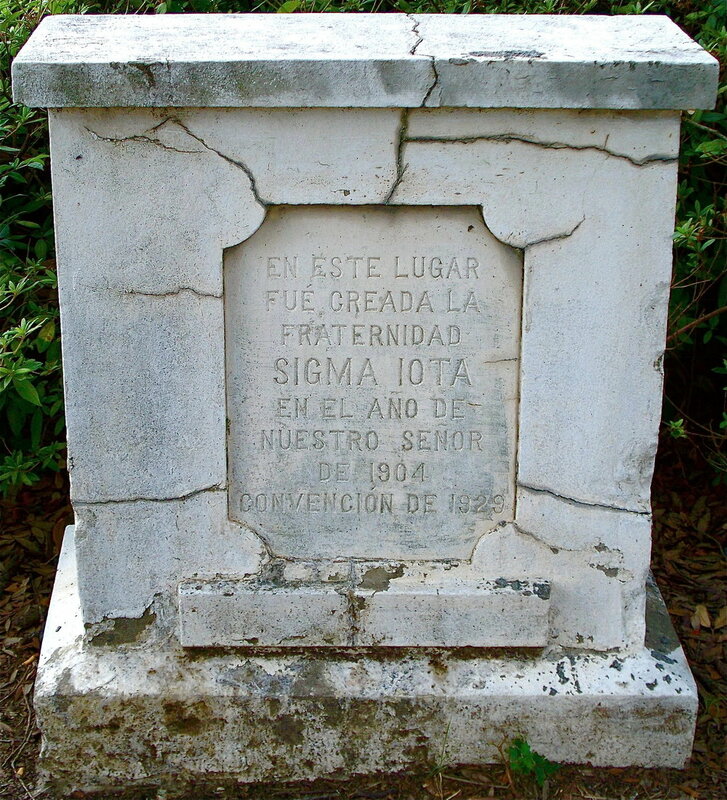 SIGMA IOTA - (Spanish American Students) - The Sigma Iota fraternity was established in 1904 at the Louisiana State University, Baton Rouge, LA. as a secret society for the Spanish-American students under the name "Sociedad Hispano-amernicana." In 1911 it was changed to a Greek letter fraternity.